Stage fright has been troubling people from the times armorial. One wants to speak to a group, to express himself or herself, they have the ideas and want to share knowledge but the stage fright scares them. 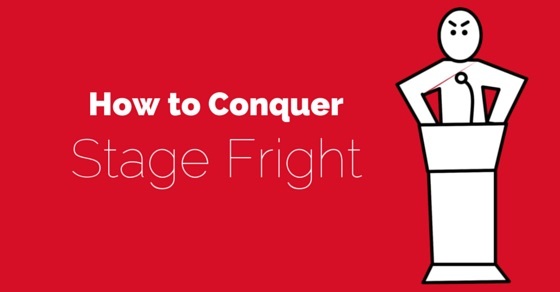 What is stage fright and how does it operate? I’ll describe six stages of stage fright to explain in totality why and how it takes place. After understanding the root cause of the problem, I will also give suggestions as to how you can avoid stage fright. This video has been prepared for all those friends who are afflicted by the demon called stage fright, but do not know how to avoid, how to overcome or how to conquer this enemy of the human confidence. It starts no sooner you accept the assignment of making a speech. After confirming, you start thinking why did you agree? You are not a public presentation. What if you tail to come up to the expectation of the audience? You will make a tool of yourself and for no reason. 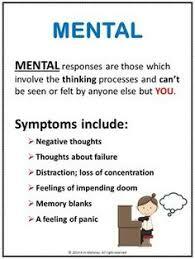 Instead of sitting downer and preparing, you harbor these negative thoughts unmil you get involved in your activities. These constant negative thoughts start scaring you. You feel something ominous is ahead of you, recollection of the previous occasions when you could not perform well bring a kind of misery. Efforts to prepare the speech even when you sit down to write do not bring positive results. What happens next? What does it lead to? Fear provoking thoughts make you anxious. The anxiety starts working. It breeds worry making it extremely difficult to prepare a proper speech. For sure, there are more negative thoughts. And that leads the stage 4. You anxiety is increased with deepening fear and non-preparation. The problem grows and disturbs your logical thinking. But now it’s a point of no return. Some days have passed and there is no way you can come out of the predicament. Then it leads to stage5. Focus on fears, anxiety and worry cause distraction. This makes the task even more difficult. But somehow you prepare the speech. It doesn’t even appeal to you. But you can do nothing. So you are ready but with a substandard speech. You are on the stage. You are nervous. Whatever you had prepared, even that plays hide and seek with you. You start making the same mistakes which you had predicted. Your legs shake, hands shiver voice cracks. Instead of 15 minute speech you could last only for 5 to 6 minutes. Your enemy stage fright had the day of celebration. It had won. You come down as a defeated person. Now, let me tell you how to tame this wild bull, your victor – the stage fright. I’ll briefly but clearly explain the five steps formula to beat your enemy down. The day you agree to speak, on the same day you should note down the points which you will like to project. Whatever you know is fine. Google out the rest. Having the points is just like collecting your ammunition. Next day, you go through these points a number of times. You may find some of them not so lethal while you find others like dynamites. Retain the dynamites and throw away the weaklings. Don’t keep anything extra. Now, you are ready to wage a war. You have all the weapons. Again you go through the points you have now collected. As you have slept over them for 2days, you will find it very easy to put them in proper order. One naturally will lead to another and you will have a good sketon for your speech. It is the framework of your final delivery. Just like a general of an army strategizes the attack and keep ready to wage a war against your abominable enemy stage fright. This done, you must visualize yourself as the victor in the mar. See yourself battling away all the enemies, big and small. Just visualization will not help. It will inspire to put in all the hard work that lies ahead. Now, for balance days that you have, you must practice, practice and practice. Since it’s your first big battle no am omit of practice is too much. Practice as much as you can but also some more. On the day of reckoning go to the appointed place at least ½ an hour early. Meet organizers and others who have come. Talk to them informally. You know your subject in and out. You have practiced your speech more number of times than anyone can imagine. You are sure to come out as a winner. Stage fright will be scared of you and you will rock the stage. Wherever there is applause allow people to have their way. Don’t limit their appreciation. Thank them with you facial expression and then centinue. At the end receive compliments grace fully and not sheepishly. Now you are ready for the next expedition.